Where our story continues…M’s perspective. You know, I’ve never doubted for a second that life is above all things unpredictable. You live, you die….everything including happiness is optional. If you told me three years ago that I’d be happily re-married to the absolute love of my life, I would have told you you were looney tunes. I had given up. I figured “one strike, and you’re out!” I remember going to a palm reader at a haunted house the October after my separation from my ex and the person told me I’d be remarried within 5 years. I should have saved her business card for a rainy day. Anyways…and then, it happened. I went from down and out, single, battered and bruised…to back on top (TWSS) feeling like I’m on top of the world. She’s truly the love of my life. We’re the best of friends and companions, the best of lovers, we love so much of the same things, and our families love the both of us. Outside of marrying the absolute best woman in the whole wide world, I’ve also inherited the best brother and sister-in-law combo that a guy could ask for. 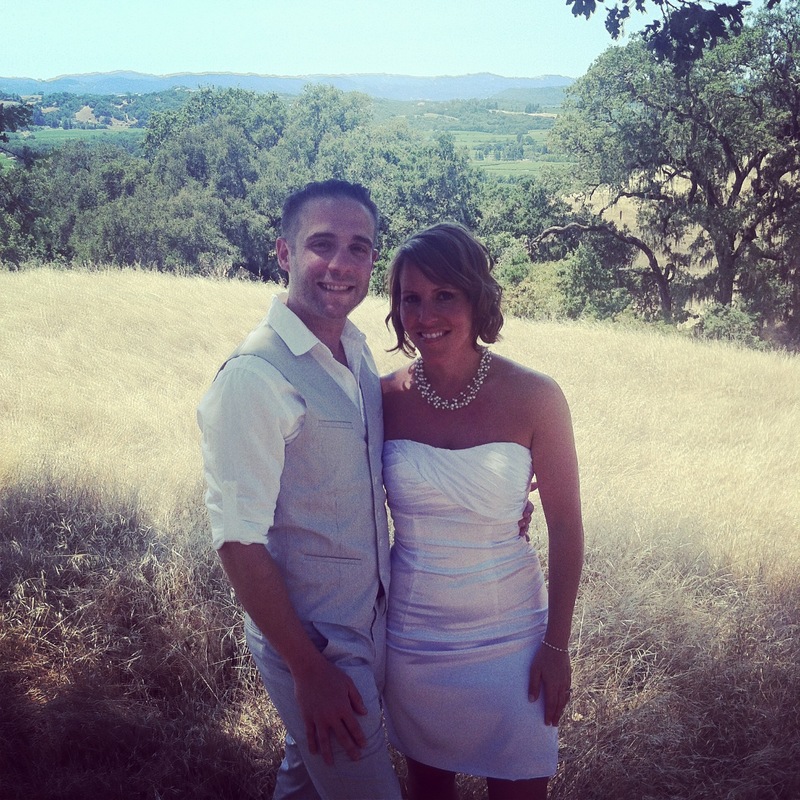 As this would be both our second marriages, we opted for a small, intimate engagement with close friends in wine country. Close friends, wine, marriage… kinda like peanut butter, jelly, and bread, right???? The scene plays over and over in my head. She was so beautiful in her wedding dress as she is always beautiful no matter what. So what if it was 110 degree at the top of an arid, grassy hill. The view was amazing! And as our close friends watched we recited our vows. Now, I’ve always been a procrastinator and my motto always has been “why do calmly today what you can rush through like an absolute maniac tomorrow” but I actually had worked on these vows for quite some time. In fact, what I recited was version 7. It seemed fitting. I knew it was right because reading them to myself actually evoked a deep emotional response, something that for me is very difficult to do. Our good friend, Jim, was our JP and he married us. 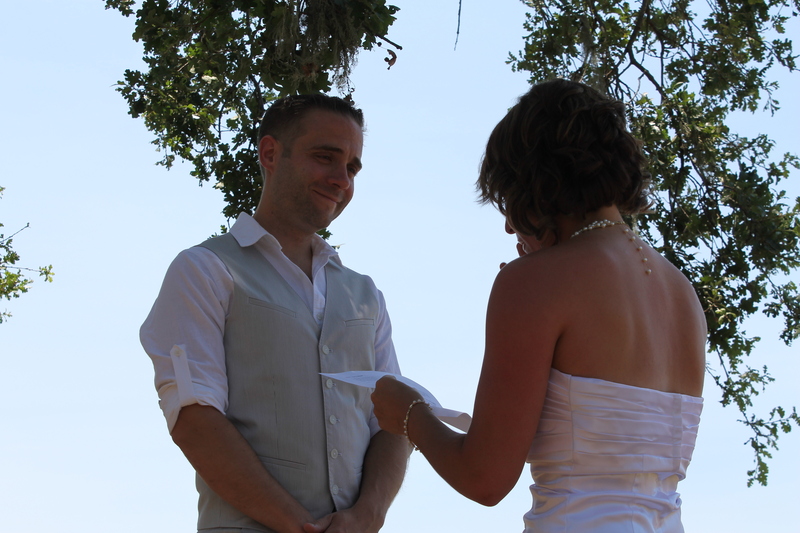 When it was my turn I started to recite my vows and had to pause a few times to make sure I could go on. I looked at the page, I read, but, honestly, I didn’t look at the page for a lot of it, because a lot of it came from deep within my heart. And, then, that was it. We kissed. Everyone clapped. We all smiled. It was a special day. A day I won’t soon forget. One time, about a year ago, she planned this elaborate surprise party for me. I give her credit, it was awesome. I walked into our old apartment…SURPRISE!!!!! Everyone was there….everyone important to me. Friends from every circle intermingling, talking, laughing, mixing together….it was, what I truly believe, what heaven would be like. But, I was wrong….heaven wouldn’t be that. Heaven would be all those people, our families…..in wine country, on that hill…laughing, talking, just being together. Not a worry in the world, just love, innocence, safety, and total utter satisfaction. I hope I get there….. someday. Where our story continues…our vows. Writing our vows felt so daunting at first…but once we got into writing them together, the words just flowed, and every time I read them, I cry. 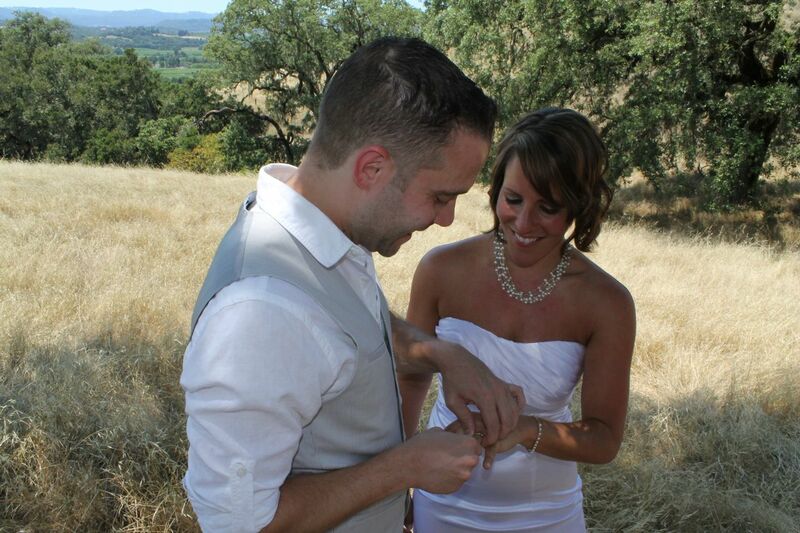 We wrote ‘overall’ vows that we each spoke, and then ‘surprise’ vows that neither of us saw from each other, until they were spoken to each other on June 30, 2013. In this moment, the world melted away, and all I saw in those moments was M’s face, tears in his eyes, tears streaming down mine. 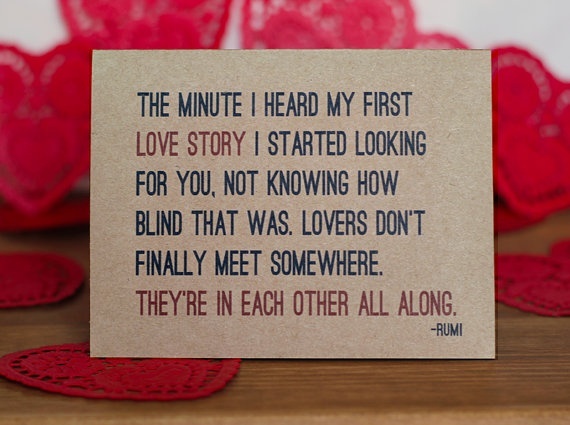 The most beautiful moments of our story, in that instant. I choose you to be no other than yourself. To love you for who you are and trusting and embracing who you will become. I will respect and honor you always, and in all ways. I will walk with you, hand in hand, through life’s struggles and uncertainty and never leave your side. My heart is committed to you, the love of my life, and my light, now and forever. I will be your biggest supporter, encourager, lover and partner. I take you as my best friend, the beat of my heart, and my home, to have and to hold in tears and in laughter, in sickness and in health, to love and to cherish always. You will never walk alone, as I am giving you my hand to hold and my life to keep, from this day forward, in this world, and into the next. I love you. I once wrote that my life is amplified with you in it. And that couldn’t be more true. You make my happier than I have ever been. You inspire me to live more, love deeper, and be more than I ever thought I could be..by just being you. And you’ve taught me what love truly is, how to show, speak and feel love like I have never felt before. While I almost want to say that if I had to live my life over again, my only wish would be to meet you sooner and love you longer, but I truly believe that our lives have shaped each of us for who we are, and our paths met at the exact time they were meant to, hand-shaped and hand selected by God, to bring us together, because where we have been in our pasts has brought us here to today, to where we were meant to be planted. You are the most respectful, driven, honorable man I have ever met, and I am honored to soon call you my husband. I love you more than I ever thought possible, and can’t wait to spend the rest of our lives together, where our story continues…forever. No matter what I say to you today, no words can ever describe how much I love you. You gave me a card recently, and in it, the author wrote ‘I love you means so much more than three words.” When it comes to me and you, I love you means so much more than three words. Every time I say I love you, I’m making a promise to hold you tight and never let go…to protect you from harm, to support you in every challenge, to hold you close, to defend you when you are scared, to keep you warm when it’s cold, to make sure you never feel alone, to respect you always, and when you feel like the world is against you, to remind you again and again, that you are the most awesome person I have ever known. Every time I say I love you, I promise that I’ll be yours, if you’ll be mine, forever and ever, until the end of time. To hold your hand, just because, to make you laugh, just because, to share in your pain and sorrows, and cherish you, to cherish us, because in the end, aside from all those little things we let get to us, aside from our successes and failures, our careers and jobs, aside from all others…in the end, most importantly, what we have is each other, and I promise that for the rest of my life, I will hold us above everything else. I promise to support your lululemon habit, I promise to support your endevours with barre n9ne. I always promise to share with you good wine (even if it’s in the ‘princess glass’ some of the time), to build a home, and God willing, a family. To make you feel beautiful every day of your life. I’ll be your best friend no matter what, no strings attached. Because I love you and promise I’ll love you till the very end. And on that fateful day, when I say I love you, know that I’ve always loved you more than anything and anyone and that I’ve always been the luckiest man alive, because you loved me back I love you and promise I always will. As I sit here in tears, re-reading these words, I am in awe. That this man, the beat of my heart and the love of my life, loves me so much, just as much as I love him. I feel like the luckiest, most blessed, happiest woman alive. And I thank God every day for this very man, this very life, everything. Where our story continues…my perspective. Deciding to marry semi-secretly, privately, and quietly was something we almost knew we wanted to do from the day M proposed. I always joked with M that I never got the ‘wedding gene’ and he is lucky I am so even keeled about the whole thing (wink), but in honesty, we *both* shared a similar view, so it did not take a lot of convincing. It all began last year, on our annual ‘pilgrimage’ to Healdsburg, where we were in the gardens at the house we rented, and M wrapped his arms around me from behind, and whispered in my ear…wouldn’t it be awesome to get married here? Like, right here? We weren’t even engaged yet, but in that moment, everything fell away and I just knew…if the stars aligned and we were going to marry, it would be right there, in Healdsburg. At the time, it felt like a pipe dream. And when M proposed a few months later, the thought crept back in. At first, I had started warming up to the idea of a small ceremony by the water where I grew up (30 mins from where we live now), or at a park, or on a beach, but the more we looked into locations, the less excited I got, and the more I wanted to break out in hives thinking about the stress of hosting a wedding. When we added up ‘just family and close friends,’ the list topped 50, and to me, that *was* a wedding and a wedding, in the traditional sense was not what either of us wanted for ourselves. To me, the thought of speaking the most personal and sacred vows in front of so many people felt daunting, far too public, and not personal. I realize my views are narrow here, and most people love bigger weddings, so if you are shaking your heads, believe me, I understand!! I love *going* to weddings. I love celebrating. But in this instance, it was simply not what we wanted. So we landed back on Healdsburg. And the idea excited us. It just felt right. But we also considered everything logistically and wondered…could we really pull this off? How would we do it? How would we figure out who to invite? And *would* we invite people? The last question being the toughest. We went back and forth with a lot of ideas, but after much consideration, we realized what we truly wanted was to re-live our trip last year, and just ‘throw in’ a short wedding while we were there. We just had an incredible time last year, and we didn’t want a lot of fanfare, we didn’t want to complicate it by feeling like we were ‘hosting’ family and friends that came, and we also didn’t want to burden anyone with the expense of attending a wedding 3,000 miles away. Since we had already planned this very trip for June, the starts started to align and we pulled the trigger. We chose June 30 to get married, giving us a day-ish to settle in, do a little mini ‘rehearsal’ dinner type celebration (the most epic wine and food pairing ever, I might add, pulled off by my sister Jess!) and then get married on June 30th, giving us the remainder of the week to celebrate, enjoy and recharge. We shared our plan with family and friends, who were supportive and understanding, for the most part. One of the hardest parts for me, was knowing that this decision to marry far away would mean my sister Jen would likely not be able to attend, given my 2+ year old niece. We celebrated quite a bit beforehand, tied in FaceTime while we were away (we attempted to FaceTime her during the wedding, but the reception was too shoddy), but knowing she was there in spirit, and in heart, and in bracelet (sister bracelets we each wore from Alex and Ani, thank you sisters!! ), meant the world to me. We made what some may think was a hard decision…but for us, it felt the most natural and ‘us’ in respecting and honoring what *we* wanted to do most, and not what anyone else would have considered. And the day itself? Was the most relaxed, fun, happy, and emotional day of my life. I turned to M last night as we were ‘reliving’ the week through pictures and said that the wedding and the week felt like an out-of-body experience…and he nodded in agreement. It was just surreal. Perfect. Beautiful. I wouldn’t have changed a thing about our day, not even the 105 degree temperatures. A wedding should represent the two that are marrying and our wedding represented us to a “T’ – the way it is meant to be. I sit here feeling incredibly blessed, loved, and more settled than I have ever felt. Being M’s wife (wife!! ), sharing our lives together, for the rest of our lives. Sometimes, I look over at M and honestly just stop, look, and wonder how on earth I could have possibly met such a wonderful man, a man that as I learn more and more about him in the years that pass, the more deeply I fall in love with him, and the more I thank God for not only him, but for the opportunity to have fallen in love twice in my lifetime. I wrote about this before, but it came up in a conversation recently…and to this day, I truly do feel so thankful to have loved more than once in my life (and re-reading that post from November 2011, I never would have fathomed that today, we’d be teetering on the edge of home ownership as well as marriage (note: no, that does not imply we are getting married next week too. hee! #tease). …but then again, I knew our love was everlasting then, and I truly know it now, without a shadow of a doubt, that this love is lifelong, everlasting and the purest love I have ever felt. His gestures continually blow me away. …to seeking the advice of my mom in some of the house questions we had as we entered this process. He just…cares. And does. And acts. And doesn’t put his head in the sand <-one of my biggest peeves. …to give me whatever I could ever ask for or need, to never saying no, yet also knowing when the right time *to* say no is. …to want for us, and our (future/possible) family, to work hard, and harder, to help build a life for us, and make sure his family, and mine, have what we need. I am blessed. And sometimes I just need to write it down. Even though I know it’s a post written purely for *me* and even though I *try* not to write about him as much here these days…there are times where I just can’t help it. I am blessed. I am loved. And I want to shout it from the rooftops.